Daniel Rossen is guitarist/singer/songwriter who hails from Los Angeles, CA but he is in the Brooklyn-based indie group known as Grizzly Bear. 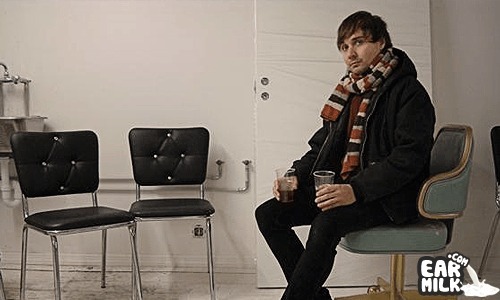 Daniel Rossen is usually associated with the indie scene in New York and he has a great sound. He has recently come out with a cover song for the upcoming tribute album to Judee Sill that will be released this upcoming September 22nd. The tribute album will feature many different artists. Judee Sill was songwriter and a singer during the 70's. She only released two albums before dying of a drug overdose in 1979. There was another album released after her death and her legacy lived on. This tribute track is very low-key but could strike multiple tones with your emotions. Also, I've included a video of Judee Sill herself. Enjoy. love love love it. so soulful and old. makes me think of simple days. totally frees my mind. But seriously its so relaxing. i wanna dance to this song at my wedding!!! I agree. Makes you think of simple days. For me i think of a house on a lake somewhere far away from everything. Pretty cool. Maybe its just me lol. I just came across this amazing site, but I've had this beautiful on my iPod since the previous summer. It's a simply stunning cover/tribute. Petit Biscuit unveils stunningly visceral music video for "Waterfall"